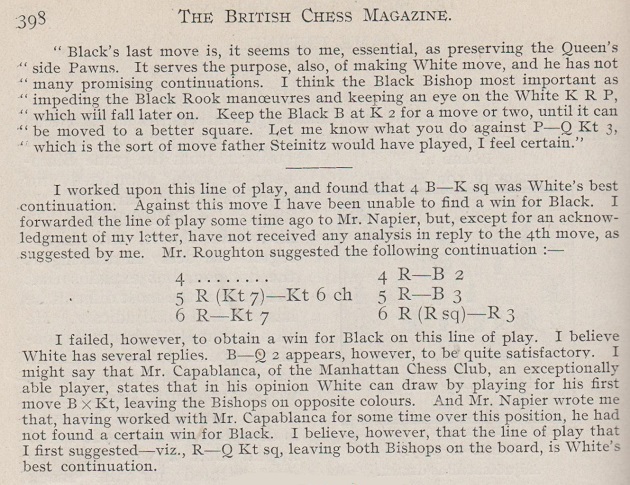 Page 30 of the Chess Player’s Chronicle, 1843 referred to a match “now on the tapis to be played” between Staunton and Daniels, with the former to give the odds of pawn and move. 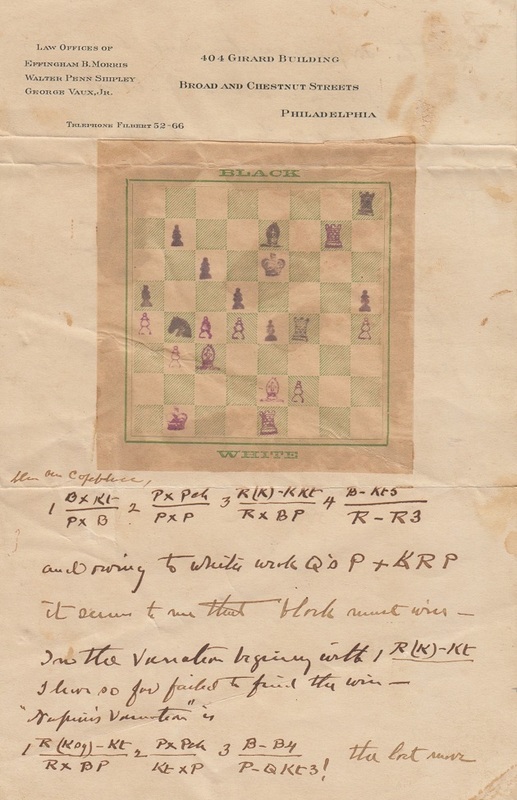 In 1844 the Chess Player’s Chronicle gave, on pages 156 and 192, progress reports on a match between Daniels and W. Hampton, which, Staunton wrote, “has terminated so abruptly that no opportunity of recording even a single game has been afforded us. The result of the struggle, as far as it went, was somewhat in favour of Mr Daniels”. 22...Re7 23 Ncd3 f4 24 Kf3 Bf5 25 Nxf4 Bxf4 26 Bxf4 a4 27 Ba2 Bxc2 28 Rhe1 Rf8 29 Bf7+ Rexf7 30 Nxf7+ Kxf7 31 Bxb8 Rxb8 32 Re5 Nf6 33 Rc1 Bb3 34 Rxc6 Bd5+ 35 Rxd5 Nxd5 36 Rxh6 Nf6 37 h5 Rd8 38 Ke2 Rxd4 39 Rh8 Kg7 40 Rb8 Rd5 41 Rb7+ Kh6 42 Rb6 Rf5 43 Kd3 Kxh5 and wins. 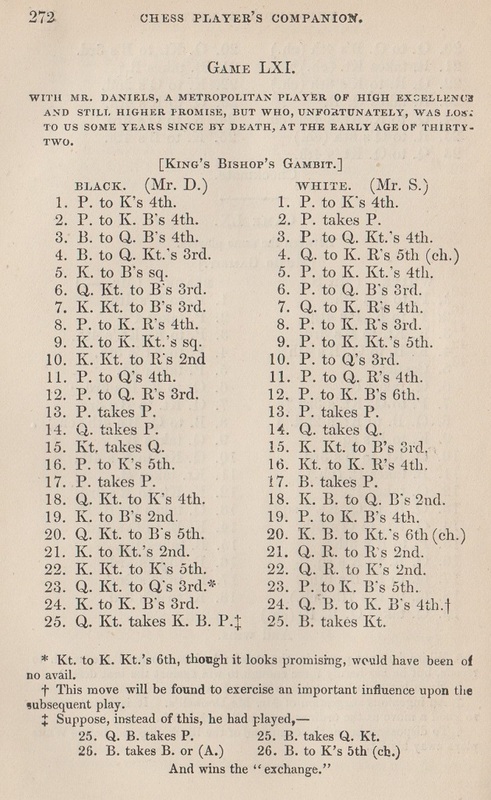 The game had been published on pages 197-199 of the Chess Player’s Chronicle, 1842 with the heading ‘Played at Goode’s Chess Rooms, between Mr St–––n [Staunton] and one of the strongest Metropolitan Players’, and with these additional moves: 44 Kd4 Kg4 45 Rb7 Kf4 46 Kc3 Nd5+ 47 Kd4 Ne3 48 Kc3 Ke4 49 Kb4 Nc2+ 50 Ka5 Nd4 51 Kb4 Nc6+ 52 Kc3 Rf3+ 53 Kc2 Nd4+ 54 Kd2 Rf2+ 55 Kc3 Rc2+ 56 Kb4 Rxb2+ 57 White resigns. 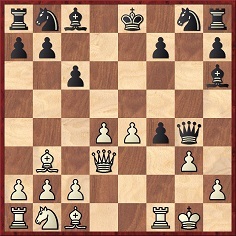 Games 676 and 770 were published on, respectively, page 220 of The Chess-Player’s Handbook by Howard Staunton (London, 1847) and pages 269-270 of Chess for Winter Evenings by H.R. Agnel (New York, 1848). 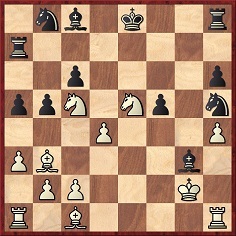 611 (White: Mongrédien): 1 e4 e5 2 Nf3 Nc6 3 Bc4 Bc5 4 Nc3 Nf6 5 d3 d6 6 h3 Ne7 7 O-O Ng6 8 Na4 Bb6 9 Bg5 h6 10 Bxf6 Qxf6 11 Nxb6 axb6 12 c3 Nf4 13 d4 g5 14 dxe5 dxe5 15 Nh2 h5 16 f3 Ke7 17 Qb3 g4 18 fxg4 hxg4 19 Rxf4 exf4 20 Rf1 gxh3 21 Rf2 hxg2 22 Rxg2 Bh3 23 Rf2 Qg6+ 24 Kh1 Rag8 and wins. 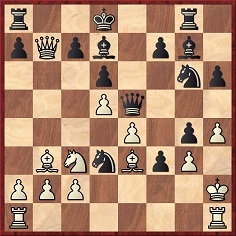 21 Rxf6 gxf6 22 Nf5 and wins. 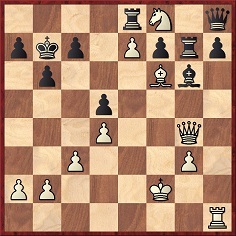 21...Qxg3+ 22 Kxg3 Be5+ 23 Bf4 Bxf4 mate. 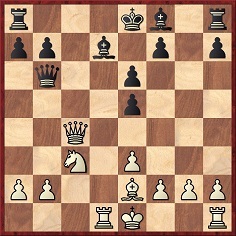 34...Qg8 35 Qd7 Be4 36 Be5 Rxe7 37 Qxe7 f6 and wins. 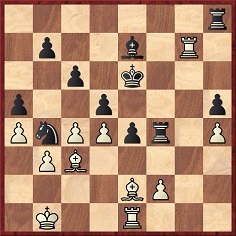 11...fxg3 12 Bxf7+ Kd8 13 Bxg8 gxh2+ 14 Kh1 Rxg8, and Daniels gave mate in two moves. 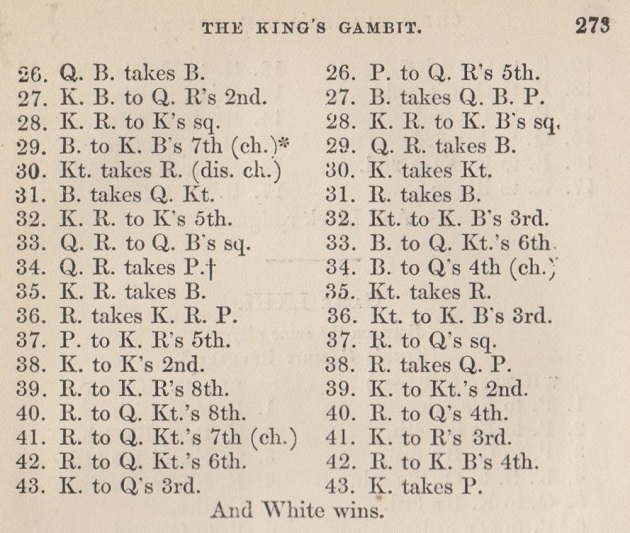 A loss by Daniels to Kennedy in Brighton appeared on pages 115-116 of the Chess Player’s Chronicle in 1847 and has been labelled 1847 in databases even though, as indicated in C.N. 10506, Daniels died in 1844. Chessologic: ‘The habit of patience and conformity with orders and observance of the rules of refined etiquette is absolutely cultivated by chessologic practice.’ Page 27. 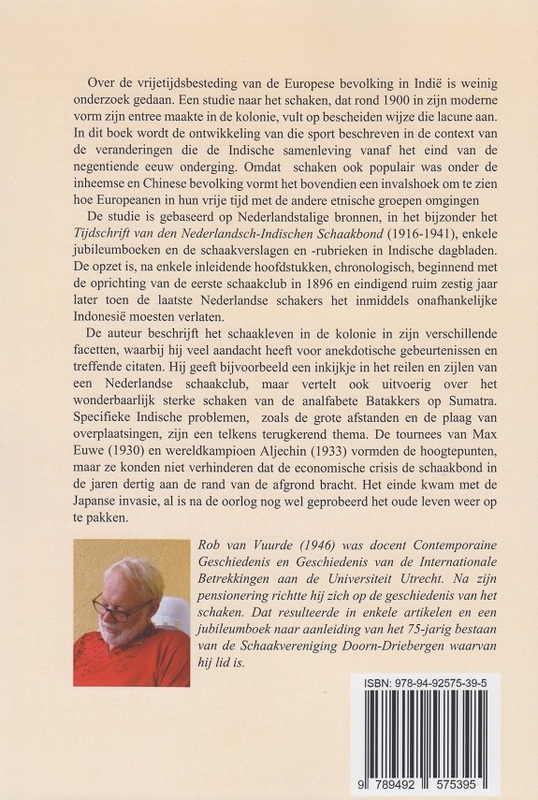 Chessological: ‘The Chinese nomenclature, from a chessological view point, clearly and wisely depicts both concretely and esoterically the general aspect of the most abstract and majestic of all departments of knowledge, which is power.’ Page 30. 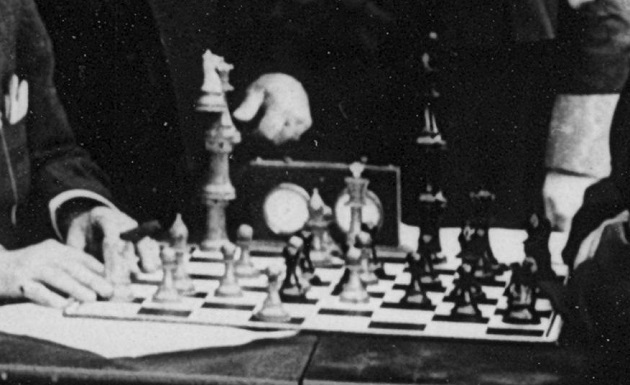 Chessologically: ‘The question, whether or not chess, however the greatest of intellectual games, might be too much of a strain on the mind, could be chessologically answered in regard to whether or how far it may become a recreation or an excessive and hurtful exertion […].’ Page 23. Chessologician: ‘The Japanese are born chessologicians!’ Page 185. 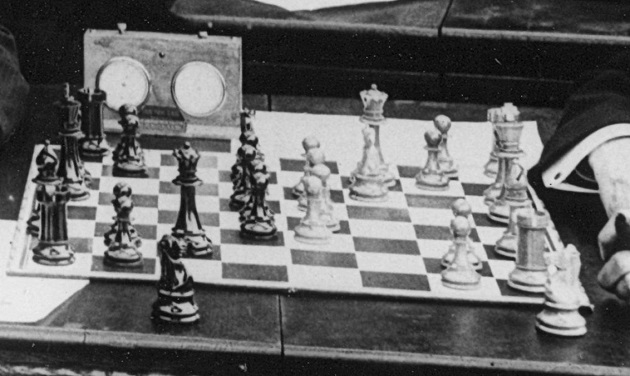 Chessologics: ‘These are perfectly and beautifully displayed in chess, especially in Japanese chess, decidedly hundred times or ad infinitum more than in any other chess or branches of Chessologics […].’ Page 74. 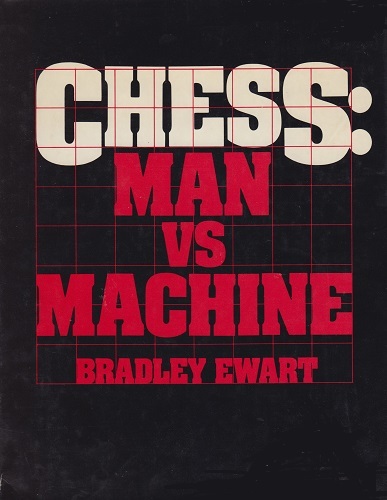 Chessologist: ‘They have been the profoundest chessologists and not mere chess players who have adopted these highest conceptions of Mathematics, Physics, Philosophy and Poetry for chessworks.’ Page 66. 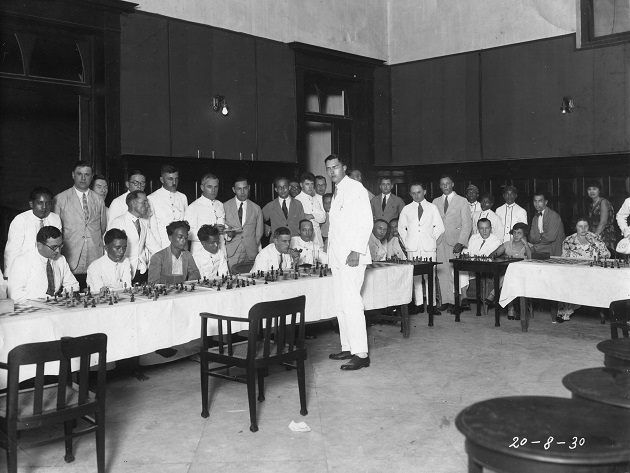 Chessology: ‘Chessology, in its largest sense, treats of the principles of the science of human struggles conceivable and symbolized in the shortest, smallest and least possible time, space and force and played as the highest and most intellectual game to develop and train the Mind, by virtue of amusement accompanied with competition […].’ Page 15. 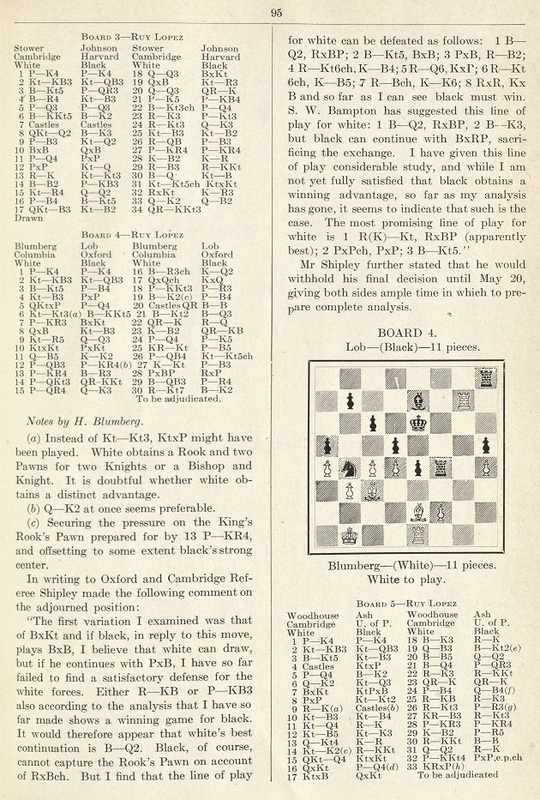 Chessonym: ‘Chessonym or Chessological Figure is a symbolic name or an algebraic sign put on a Koma, chess-piece, or the board itself, as an index of the function of an element or groups of elements in struggles; hence Chessonymy, the method of using the Figure for brevity’s sake, hence chessonymous.’ Page 48. Chessonymic: ‘Thus any physical and intellectual and speculative elements and some new resources […] are figuratively expressed in Chessonymic Symbols by the Mochingoma.’ Page 93. 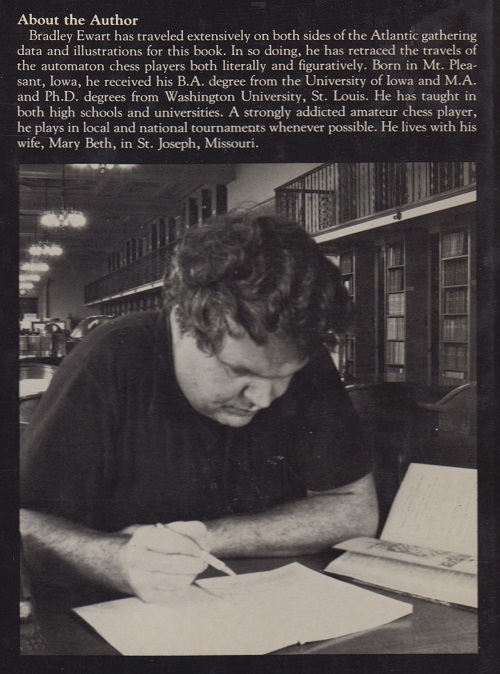 Chessonymous: ‘Every Koma piece in its secondary meaning has much wider scope than an ordinary player would give it the power or value, and in fact, all of the names of the pieces, Koma, should include secondary meaning expressed in Chessonymous Symbolic Figures.’ Page 88. See also the Chessonym quote above. 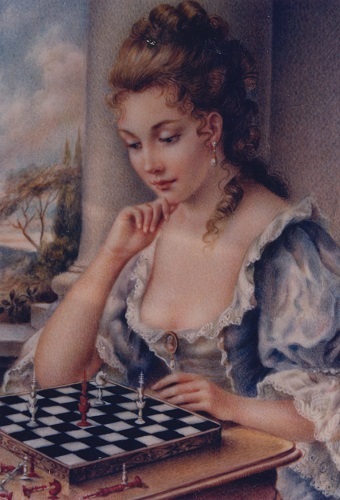 Chessonymously: ‘“Queening a pawn” would be a ridiculous performance if we do not understand it chessonymously by esoteric connotation of the meaning of trans-modifications of force or vitality […].’ Page 189. Chessonymy: ‘Chessonymy shows that Koma is also written as […], literally, Ko, game [on cross-lined board] and ma, horse, a Figure of Speech for hopping and galloping on the part of horses in significance of movements of pieces across the lines or sections over the chessboard (war or struggle game field), and it means “chessmen”[…].’ Page 54. See also the Chessonym quote above. 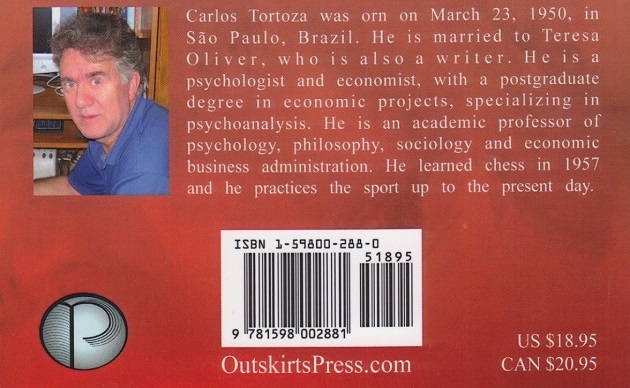 Unchessologically: ‘[…] a persistence in taking odds […] takes the game out of its proper grooves, and tends to produce positions not naturally or unchessologically arising in the ordinary course of the game, as developed from the recognized openings.’ Page 26. Our correspondent adds that the site was the Albyn Rooms, Albyn Place. 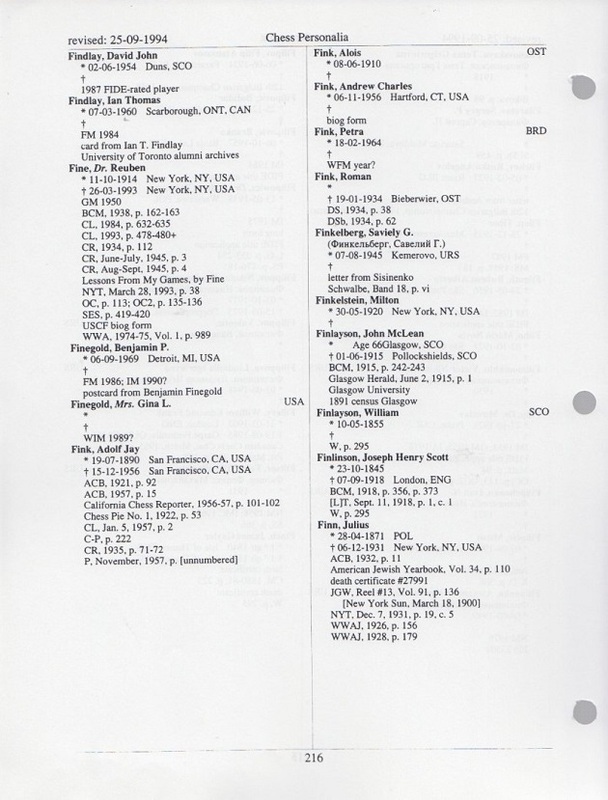 The congress crosstables on pages 401-406 of the September 1926 BCM record that the participants included J.H. Blake, J.A.J. 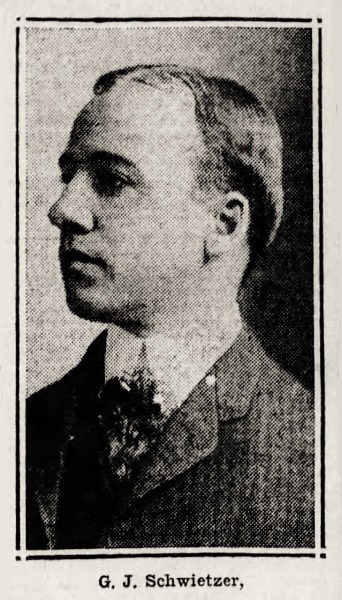 Drewitt, M.E. 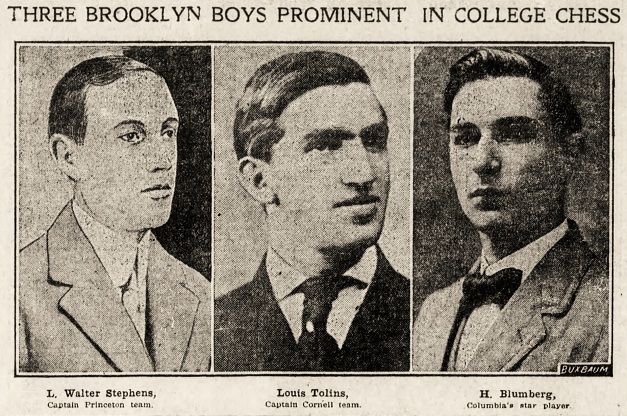 Goldstein, J. Keeble, R.P. Michell, JH. Morrison, A.R.B. Thomas, G.S.A. 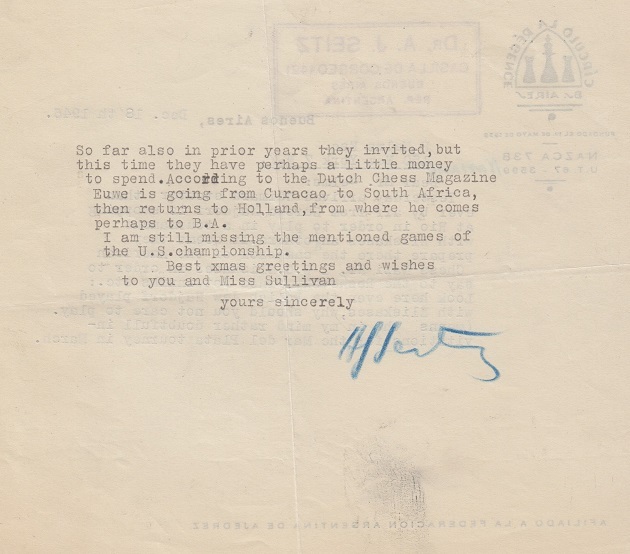 Wheatcroft, F.D. 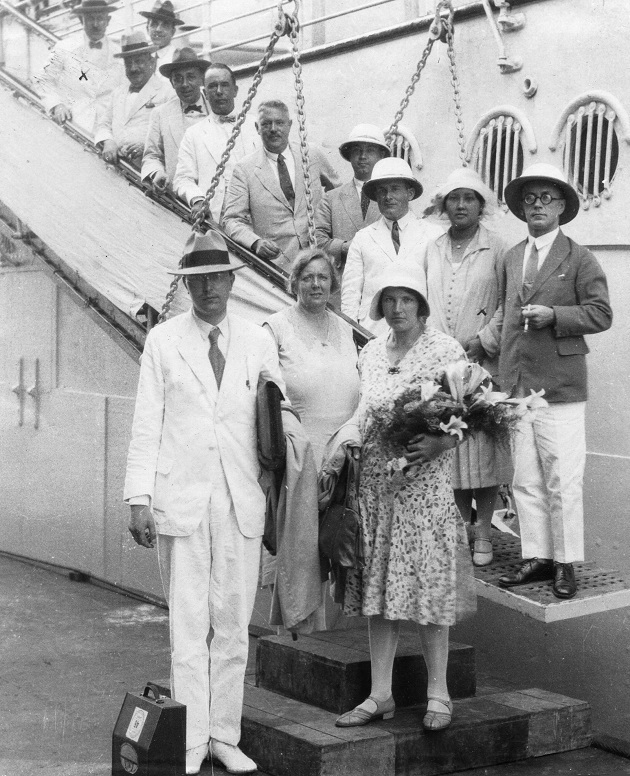 Yates and E.A. Znosko-Borovsky. Sentences beginning with ‘Maybe’ seldom impress, and this is a particularly odd specimen. 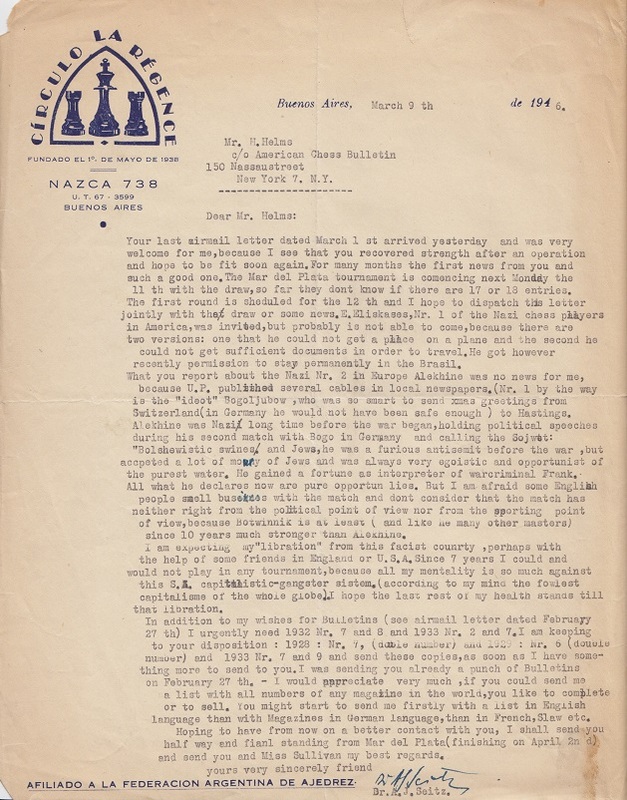 ‘... the reproach cannot be spared to the chess world that it made the meagre prices it gave him dependent on too much effort and exertion. The victor of Hastings, the pathfinder in the thickest of chess theory, gifted with pleasant and lovable traits, a source of pleasure and joy and a teacher for thousands, he should not have been suffered to be without the comforts that make work easy and keep health intact. Instead he was made to work hard, he had to spend the valuable matter of his brain in many “entertainments” lasting six to ten hours in order to earn a barely sufficient livelihood. 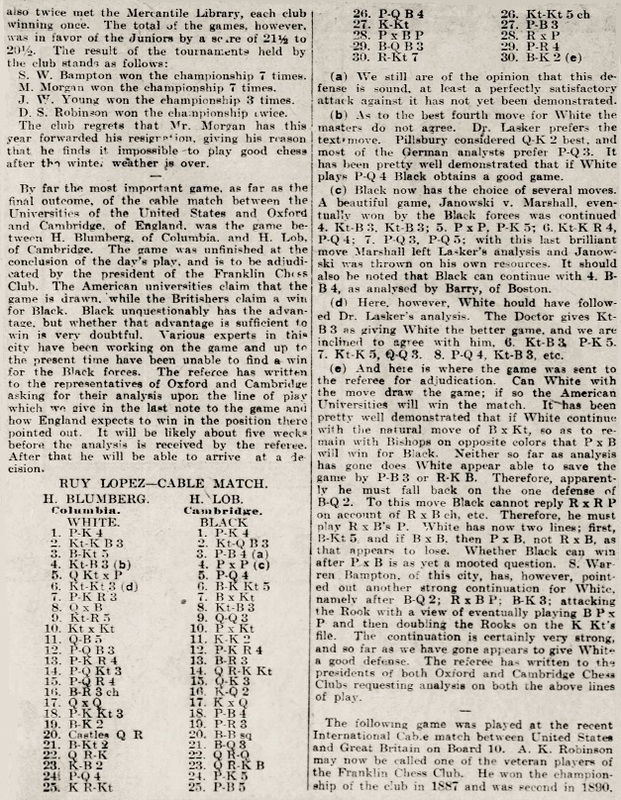 ‘The 1896 Nuremberg tournament included the most noted players of the time, and the following game was undoubtedly the most brilliant played. 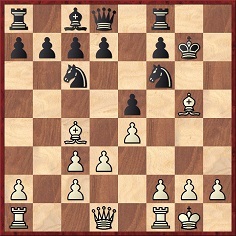 After Black’s ninth move the game is lost, though, of course, not obviously. Pillsbury’s genius for attack has never been demonstrated so admirably as in this game. 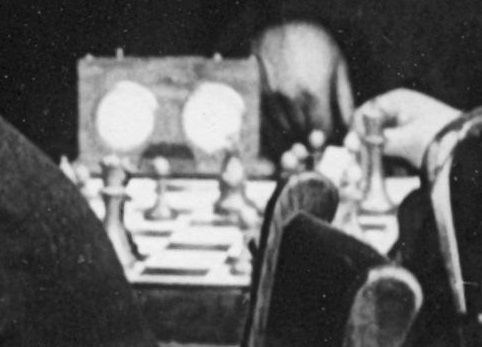 The crescendo sacrifice of a pawn, followed by the exchange and then a piece, is evidence of fearlessness in carrying out a plan on the chessboard such as has never been excelled. 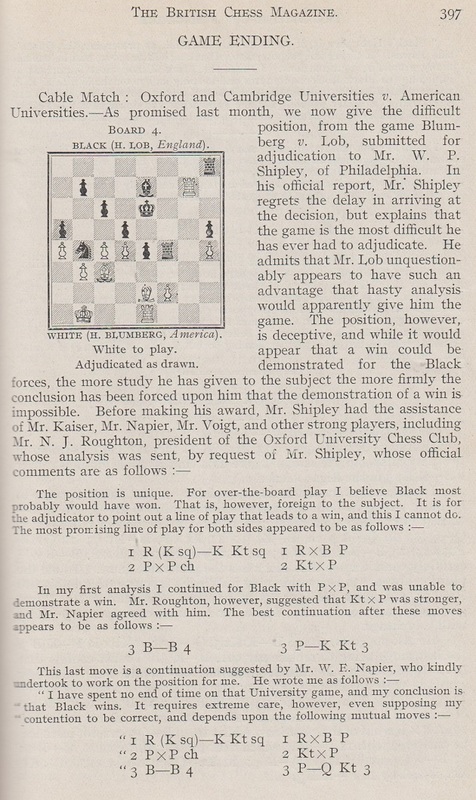 The first part of the game was annotated on pages 247-248 of Lasker’s Manual of Chess (London, 1932). 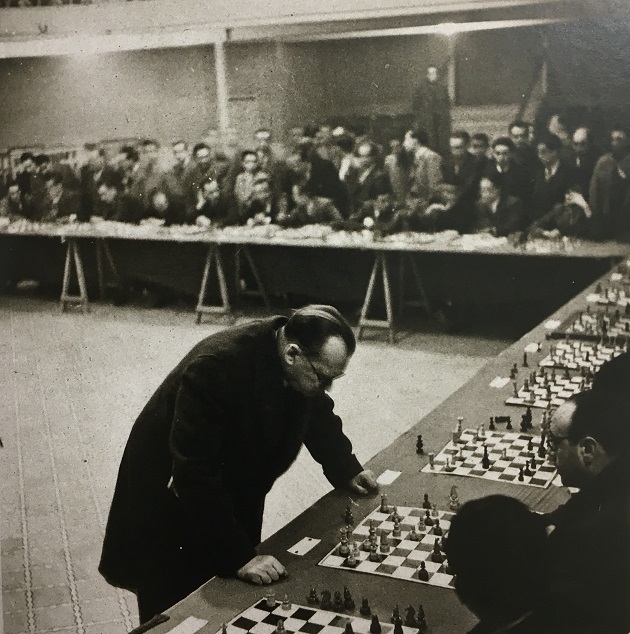 ‘As mentioned on page 11 of my 1999 book Els Escacs a Tarragona, in 1944 Alekhine gave simultaneous displays in two towns near Tarragona: Reus (29 February) and Valls (5 March). The text was transcribed in C.N. 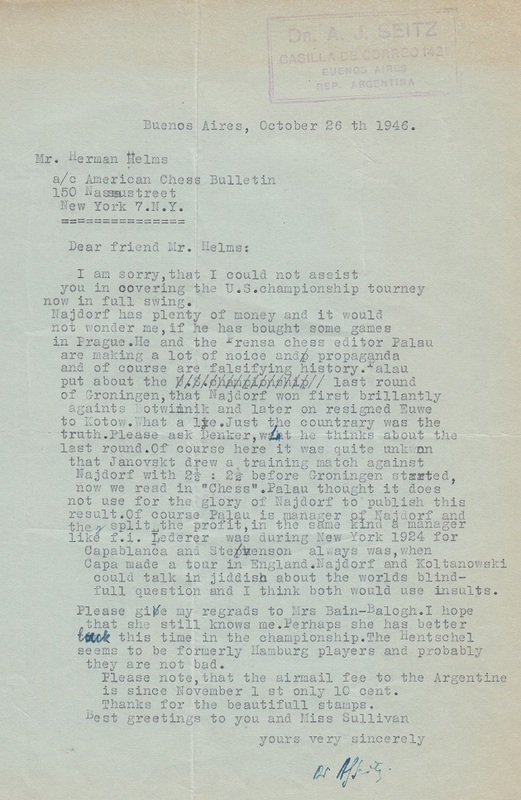 1367, which mentioned that we own a number of letters from Seitz to Helms. 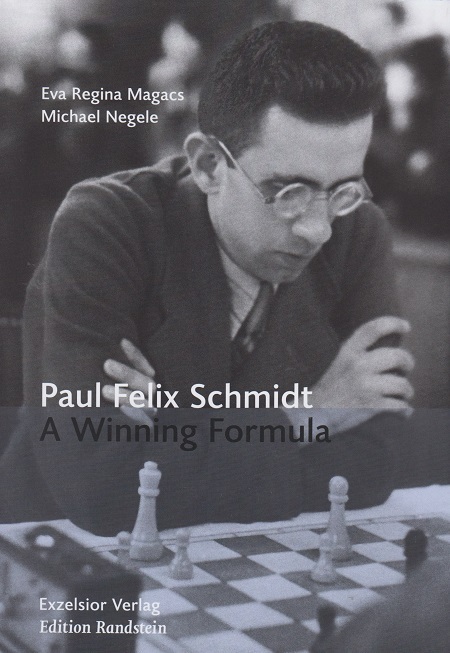 The succession of finely produced and skilfully researched books on lesser-known chess figures continues with Paul Felix Schmidt. A Winning Formula by Eva Regina Magacs (Schmidt’s daughter) and Michael Negele (Berlin, 2017). It is a 320-page hardback in German and English, with a remarkable number of photographs which will be new to all readers. The position will be discussed, with background historical information, in the next C.N. item. 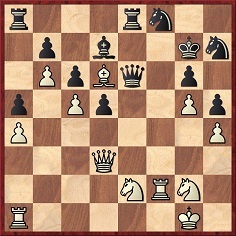 1 e4 e5 2 Nf3 Nc6 3 Bb5 f5 4 Nc3 fxe4 5 Nxe4 d5 6 Ng3 Bg4 7 h3 Bxf3 8 Qxf3 Nf6 9 Nh5 Qd6 10 Nxf6+ gxf6 11 Qf5 Ke7 12 c3 h5 13 h4 Bh6 14 b3 Rag8 15 a4 Qe6 16 Ba3+ Kd7 17 Qxe6+ Kxe6 18 g3 a6 19 Be2 f5 20 O-O-O Bf8 21 Bb2 Bd6 22 Rde1 Rd8 23 Kc2 Rdf8 24 d4 e4 25 Rhg1 f4 26 c4 Nb4+ 27 Kb1 c6 28 gxf4 Rxf4 29 Bc3 a5 30 Rg7 Be7. 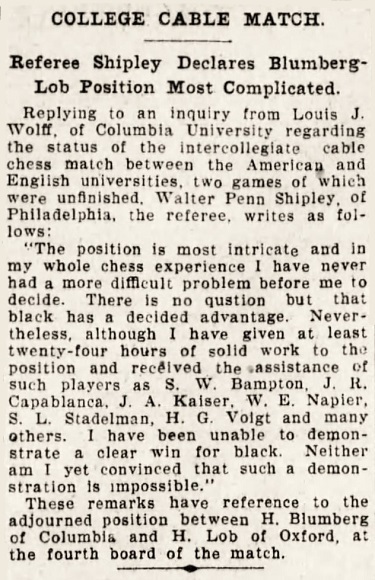 Our 1908 volume of the American Chess Bulletin is too tightly bound to be reproduced, and we are grateful to the Cleveland Public Library for the above scan. 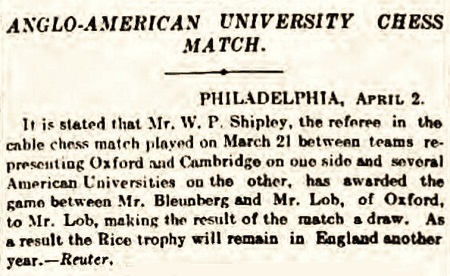 Brooklyn Daily Eagle, 3 January 1909, page 8, section 5. C.N. 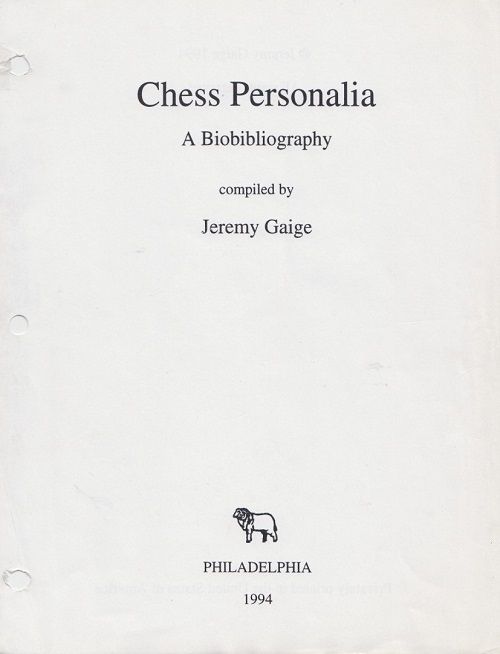 2761 (see pages 60-61 of A Chess Omnibus and Chess Cunning, Gamesmanship and Skulduggery) related a case in which L. Pachman deliberately incurred time-trouble to bluff his opponent. 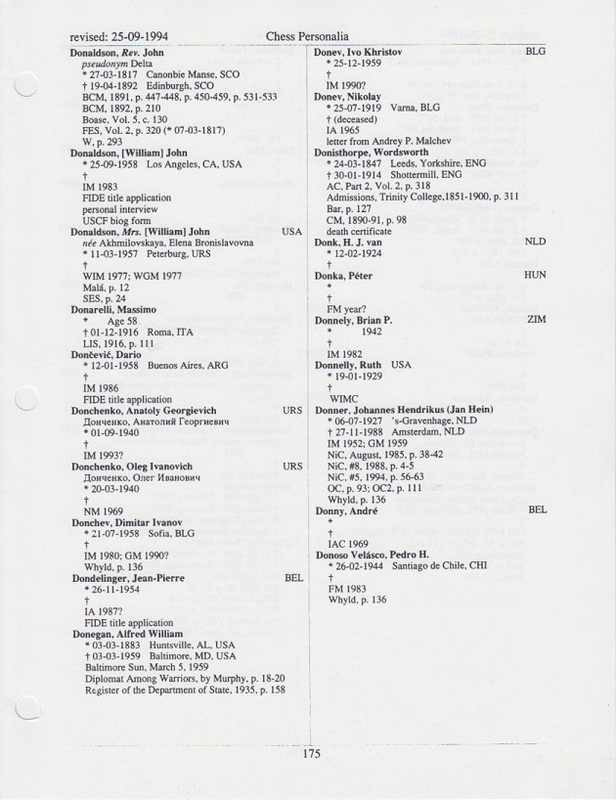 ‘The Preface to the new book on Pollock by Olimpiu G. Urcan and John S. Hilbert does not claim to include every game by him that they found in their researches, although that is perhaps implied. 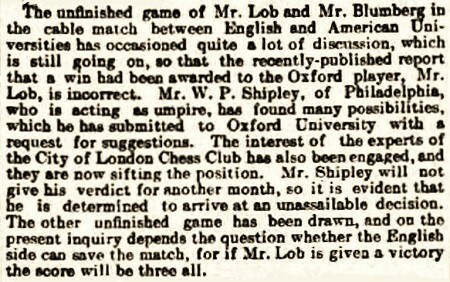 Whatever their precise intentions, the co-authors appear to have missed an opportunity to present a greater number of match and tournament games played by Pollock in Ireland. 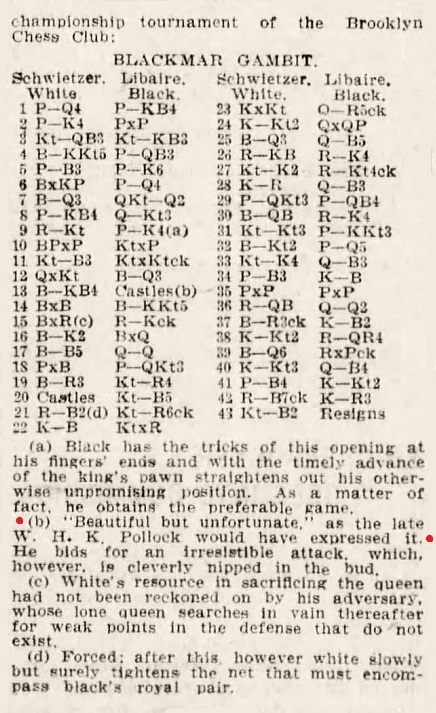 To give one example, the Dublin Evening Mail published six of Pollock’s eight games in the 1889 Irish Chess Association Congress. Pages 311-312 of the Pollock book present only four of these, none of them sourced from the Mail (although one was obtained from its sister newspaper). 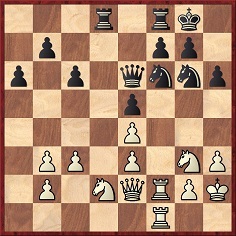 1 e4 e5 2 Nf3 Nc6 3 Bc4 Nf6 4 d3 d5 5 exd5 Nxd5 6 Bxd5 Qxd5 7 Nc3 Bb4 8 Bd2 Bxc3 9 Bxc3 Bg4 10 h3 Bh5 11 g4 Bg6 12 Qe2 O-O-O 13 O-O-O Rhe8 14 Kb1 Nd4 15 Bxd4 exd4 16 White resigns. 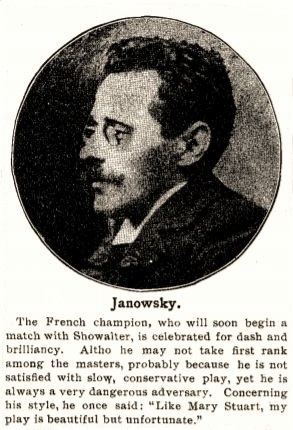 Source: Dublin Evening Mail, 21 March 1889. 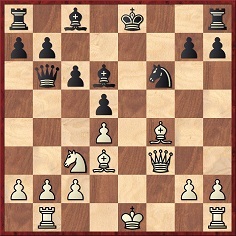 1 e4 e5 2 Nf3 Nc6 3 Bc4 Bc5 4 b4 Bb6 5 b5 Nce7 6 d4 exd4 7 Nxd4 d5 8 exd5 Nxd5 9 O-O Nge7 10 Ba3 O-O 11 Bxd5 Qxd5 12 Bxe7 Re8 13 Nf3 Qxd1 14 Rxd1 Bf5 15 Re1 Bxc2 16 Na3 Bf5 17 Nc4 Be6 18 Nxb6 axb6 19 Bb4 Bc4 20 a4 Rxe1+ 21 Rxe1 f6 22 Rc1 Bb3 23 Rxc7 Rxa4 24 Bc3 Bd5 25 Nd4 Ra3 26 h3 Ra8 27 Nf5 Be4 28 Rxg7+ Resigns. Source: Dublin Evening Mail, 11 July 1889. Readers may be familiar with this painting, but where is the best source for factual information about it? C.N. 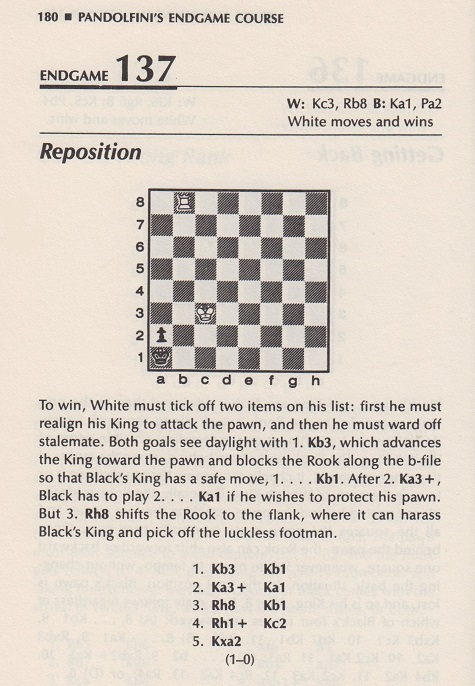 10481 quoted from page 4 of Wolfgang Heidenfeld’s Chess Springbok (Cape Town, 1955) a reference to a chess shop in Prague run by Erwin Rosenblatt. 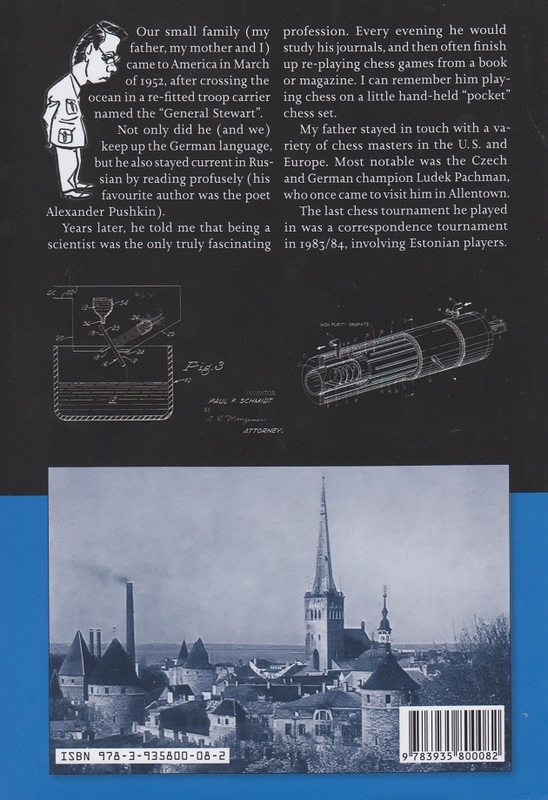 A photograph caption on page 341 of A History of Chess by Jerzy Giżycki (London, 1972) refers to Rosenblatt and his shop. The discrepancy between the date ‘c. 1840’ and the word ‘photograph’ is evident. 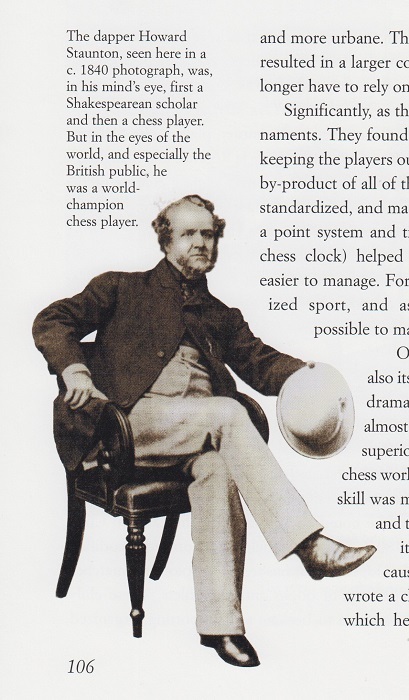 Information on the origins of the portrait is still being sought, but a possible clue is that the picture credit on page 171 of The Art of Chess states ‘John Jaques & Son, Ltd., London, England’. 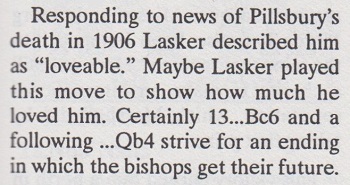 Source: The Community of the Future by Emanuel Lasker (New York, 1940), page 181. A number of C.N. items have cited this privately printed, 860-page revised, updated and expanded edition. Gaige’s Introduction stated that there were ‘about 15,000 entries’, as opposed to ‘about 14,000 entries’ in the McFarland book (the hardback of 30 years ago and the subsequent, unaltered paperback). 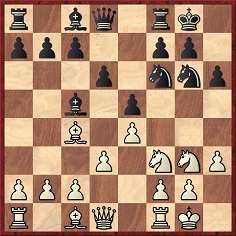 Since the white king is attacking only two unprotected pieces, we wonder what better examples of this theme can be found. ‘C.N. 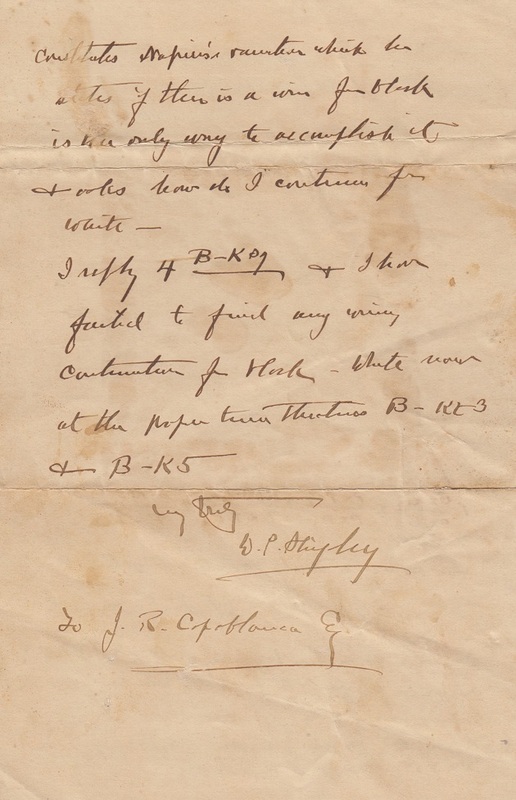 10524 asks for information on the origins of the Staunton photograph. My 2011 book Notes on the life of Howard Staunton mentioned on page 170 that the Staunton portrait which accompanied Staunton’s obituary in the Illustrated London News of 4 July 1874 (i.e. 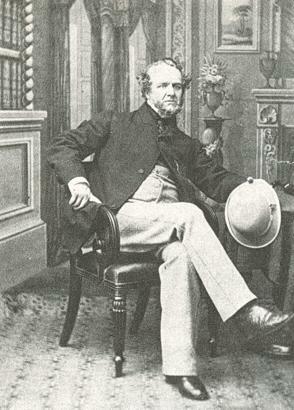 Number Seven in Pictures of Howard Staunton) was engraved from a photograph by Messrs Rider and Preston, of Southampton. If Gene Gnandt was correct in C.N. 5958 that Number Six in Pictures of Howard Staunton was the photograph used as the basis for the engraving in the obituary, it follows that Number Six was taken by Rider and Preston. Nominations concerning neglected books are always welcome. 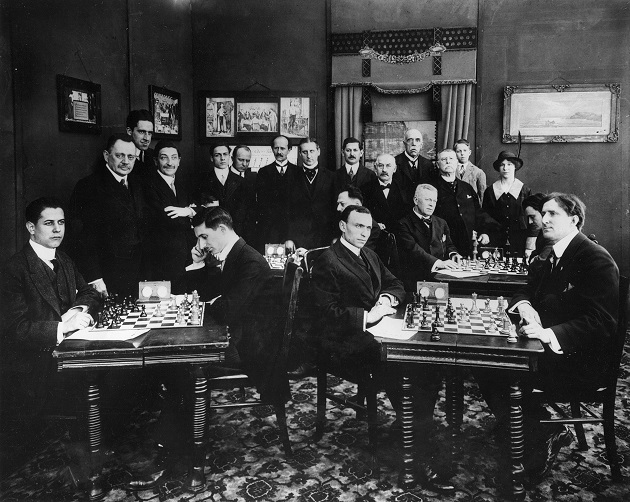 Artur Urbaniak (Lubsko, Poland) notes on page 13 of Sport & Salon, 6 July 1912 a photograph taken at Pistyan, 1912 which features, among others, Breyer, Spielmann and Rubinstein. 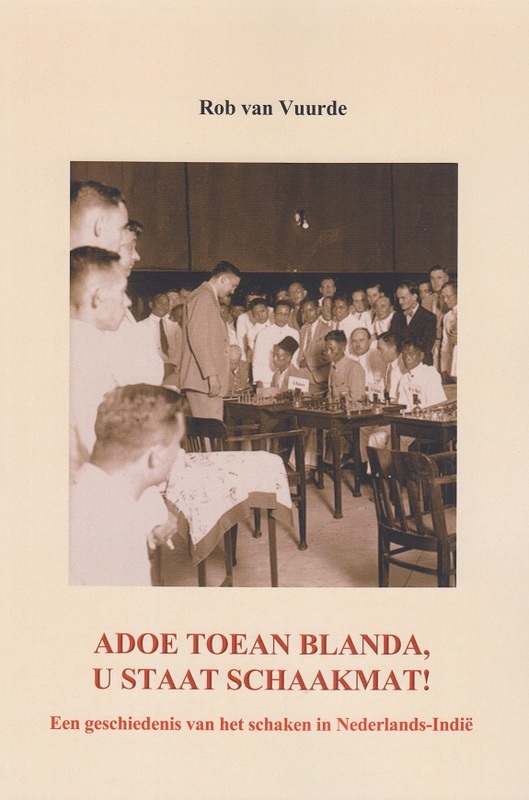 Gerard Killoran (lkley, England) points out that a photograph of Capablanca in Dublin can be found in the archives of Raidió Teilifís Éireann by searching for ‘Capablanca’ in the Stills Library box. 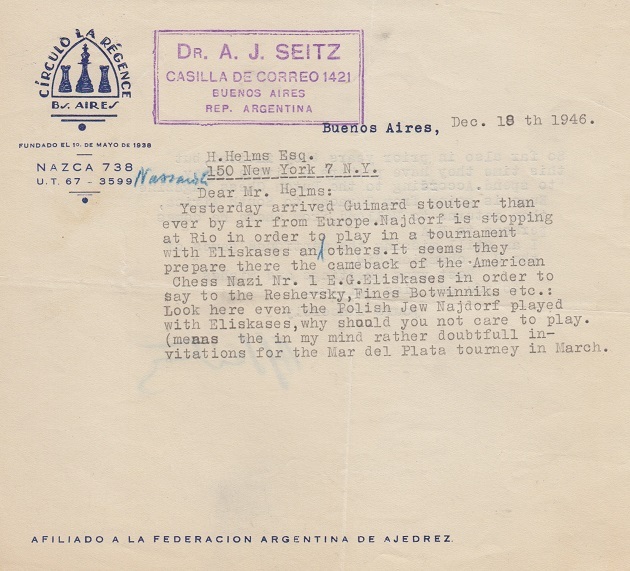 Seitz was a chess journalist. 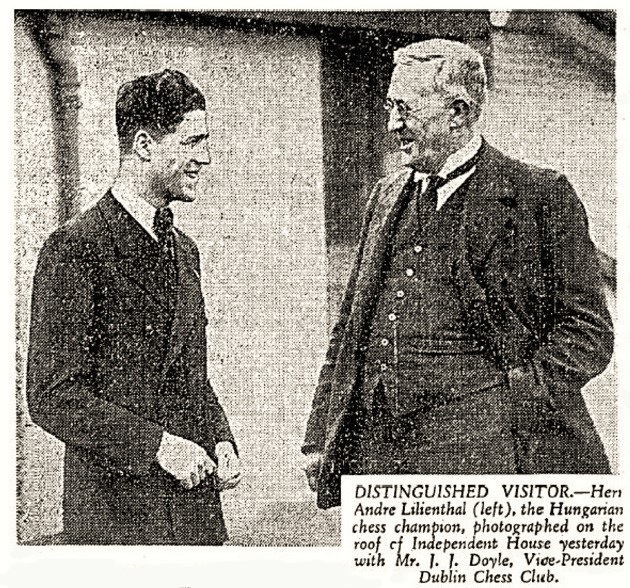 We shall be pleased to pass on to Mr van Vuurde any messages from readers who wish to acquire the book. 28 Raf1 Qe4 29 Qc3+ Kg8 30 Rf7 Ne6 31 Ng3 Qg4 32 Rxd7 d4 33 Qc4 Resigns. 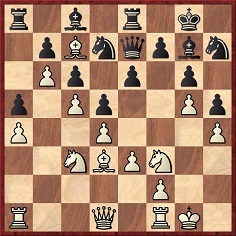 The present item begins by drawing together a set of contradictory claims discussed in C.N.s 1160, 1322, 1667, 2592 (see page 258 of Chess Explorations and page 111 of A Chess Omnibus) and, more recently, in C.N. 10002. 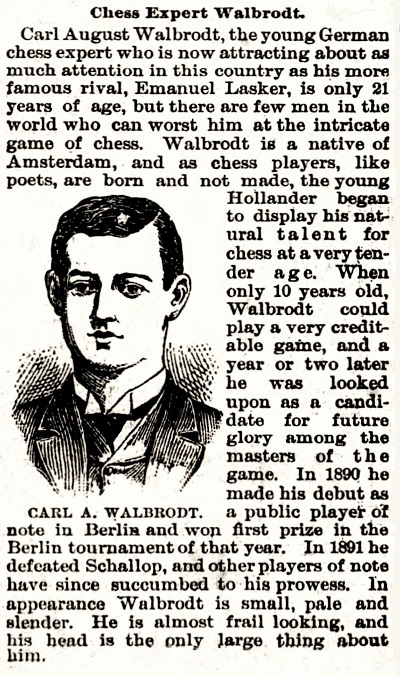 The notes were reproduced on page 164 of the August 1906 American Chess Bulletin. C.N. 10002 mentioned our wish to add some references to Marie Antoinette’s name in connection with Janowsky (see C.N. 1160 above), but they are still proving surprisingly elusive. Any citations mentioning a third queen, Mary Tudor, would also be welcome. 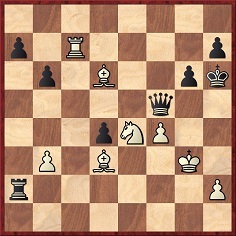 That is from a book discussed in C.N.s 4716 and 9025, Check Mate and Word Games by Carlos Tortoza (Denver, 2006).